It’s finally summer which means endless beach days, tan skin, and a whole lot of adventure. Whether you’re trotting the globe and experiencing new cultures or staying in the comfort of your home country, there still so much to see and even more to do. We’ve made a hand picked list of motivational LGBTQ+ travel vloggers to help you get inspired and on the path to planning your next journey. Don’t forget to check out their blogs for some fun tips, tricks, and unbelievable stories! Melissa Langley is a woman of many talents. Aside from inspiring other women all around the world, she is also a world traveler and writer. Her blog features everything from her own personal stories from her expeditions, lifestyle blog posts that contain anything from relationships to fashion to being homosexual, travel posts for various types of adventures (ie. Couple Travel, Queer Travel, Luxury Travel, etc) and much more. And, if you can’t figure out what beautiful land you want to explore next, check out all the pictures she’s taken to start you off. Check out Melissa’s Facebook, Instagram and Twitter to keep up with her adventures! Jose, creator of the gay travel blog ‘My Normal Gay Life’ lives a life that is far from the norm. 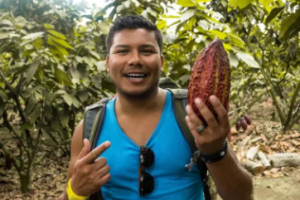 He is an educated, gay male from Raleigh, NC, but instead of choosing to find a job with his two master’s degrees, he has decided to travel the world and show people what it means to be gay and what it’s like being married to another male. So yes, he lives anything but a mundane life, yet he gets to share his lifestyle with people all over the globe while also showcasing that there is no such thing as one “normal” seeing as it is extremely subjective. He’s inspired all of us at Say It With A Condom to pursue our passions, and we can’t wait to see where his next journey takes him. Get inspired by checking out his Youtube, Facebook, Instagram and Twitter! Meg is a social media enthusiast and renowned travel blogger. 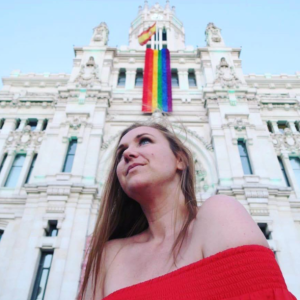 She’s always loved pushing herself to see what challenges she can overcome, and this is how her love for LGBT travel blogging came to be. 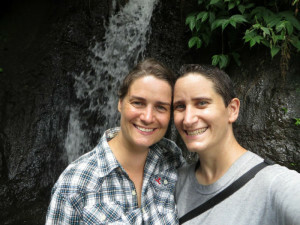 Meg was able to combine two things she loves, LGBT advocacy and the desire to adventure, to create her successful blog that gives queer travelers a place to find resources for their own travel needs. She’s living her dream, and we can’t wait to keep up with her next adventure. Don’t forget to check out her Facebook, Twitter and Instagram to help plan your next vacation. Have you ever wanted to live in famous cities all over the world, try exotic cuisines, and visit some of the world’s most aesthetic locations while also having a successful career on the side? 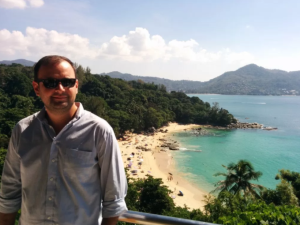 Meet Ben Lambert, lawyer and gay travel blogger. This man has lived in all corners of the Earth and has had experiences that people can only dream of. Ben shows us that it’s possible to achieve your dreams as long as you have determination and a goal in mind. The first time he stepped foot outside of the United States was in 2008 when he visited Costa Rica, and he’s accomplished so much more since then. So next time you think you can’t take that dream vacation, think again. Check out his Facebook, Instagram and Twitter for some tips and unique stories. There’s no better dream team than Ligeia and Mindy, a married lesbian couple and the perfect adventure duo. These two have already traveled to many countries around the world, and they’ve made it their goal to visit all 193 of them. They believe that there is no better way to live than to experience the foods, cultures and aesthetics that this vast world has to offer, and we couldn’t agree more. Oh, and for all you vegan travelers, they’ve got you covered with all the details on how to stick with your diet anywhere in the world. Check out all their adventures, misadventures, and amazing stories out here: Facebook, Youtube and Twitter! Stefan and Sebastien are a gay couple from London who in 2014, packed up their lives at home to travel the world. After meeting and falling in love in 2009, they created a great life together, but if you visit their blog, you’ll learn that these two are too adventurous to live the typical, ‘comfortable’ lifestyle. They wanted to do something different, and so they set off on the adventure of a lifetime. The couple now travels to exotic lands all over the globe in search of unique experiences, new cultural cuisines, romantic dates, and fellow gay friends. Check out the Nomadic Boys and all their upcoming adventures on their Facebook, Twitter, Instagram and Youtube! These individuals and couples really do have wanderlust, and their adventures have inspired us to seek out our own. Take the next step and make your summer exciting by creating your own journey. Stay adventurous, and Say It With A Condom!